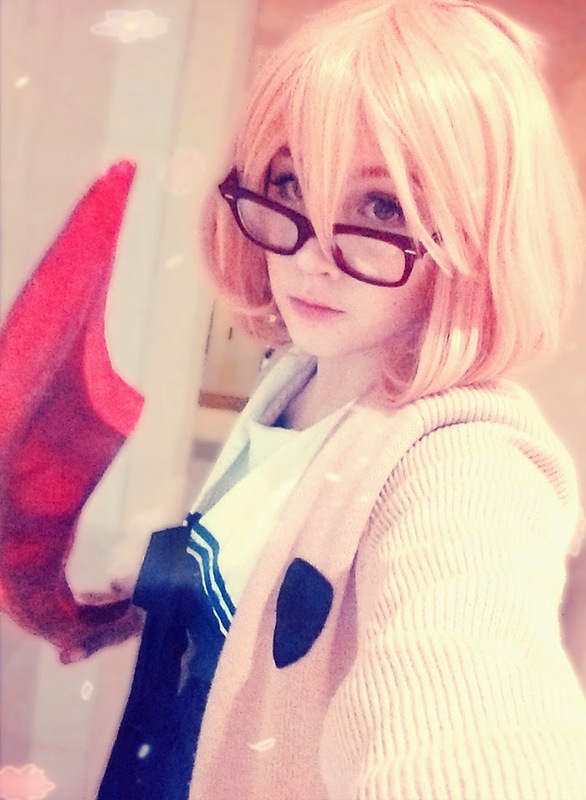 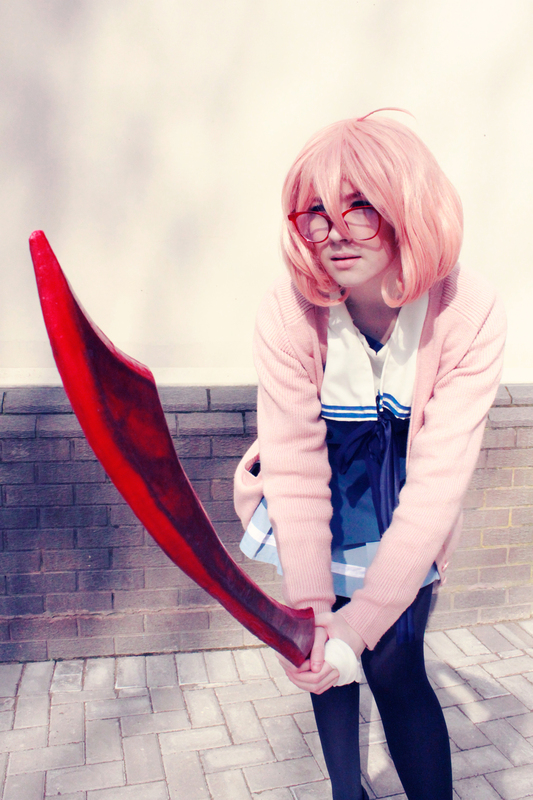 For Kitacon this year I created a Mirai Kuriyama Cosplay, including her blood sword. 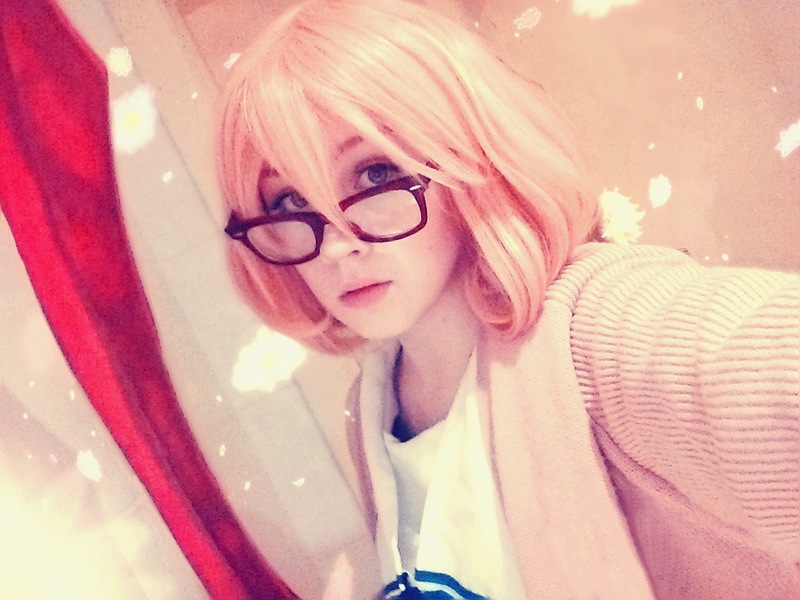 Although the sword has since broken and turned into a bit of a fail I figured I'd still post the making of the costume for reference. 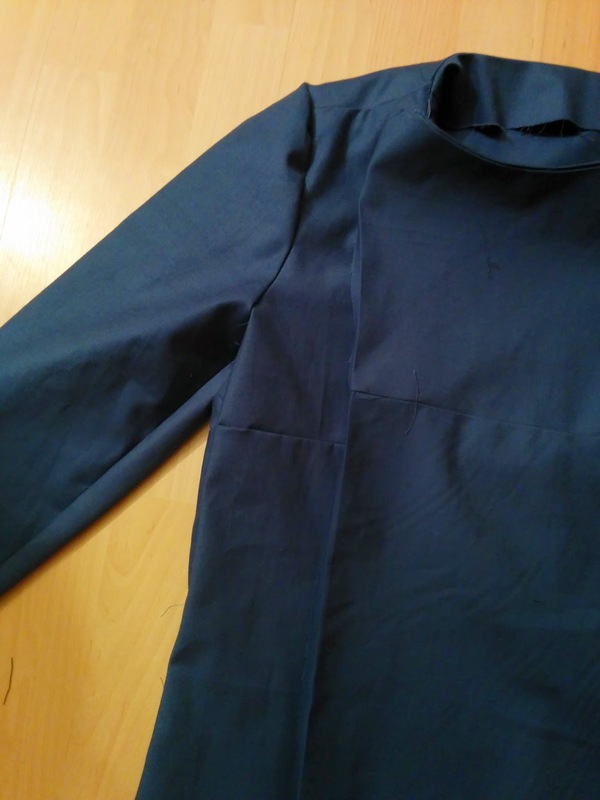 The Jacket was made using a sewing pattern which I altered so that the front would reach over. 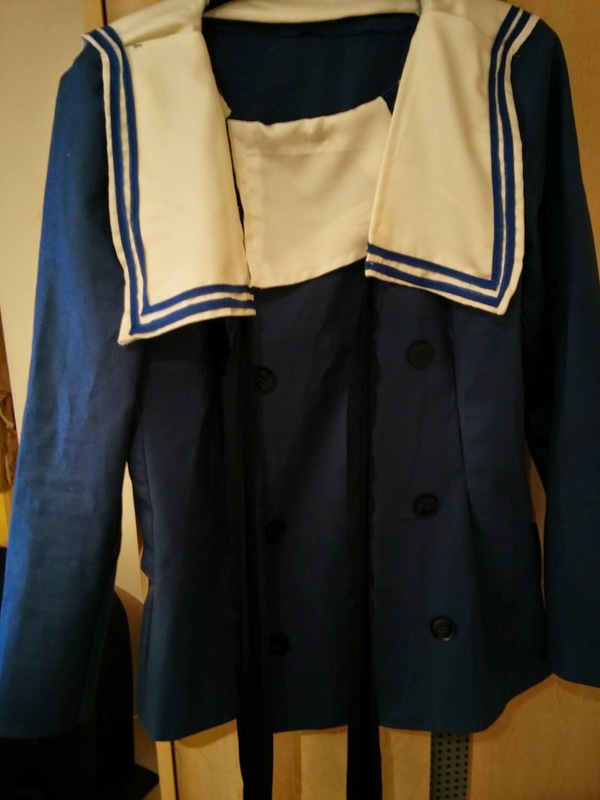 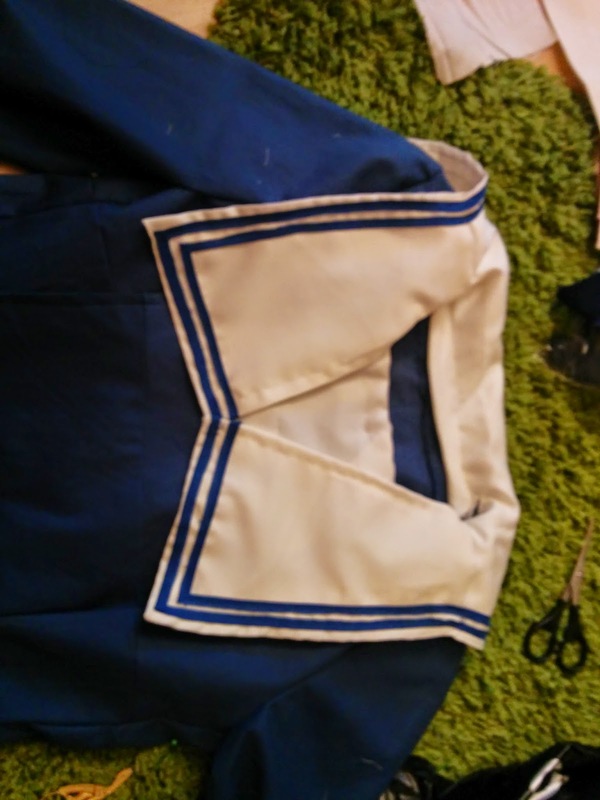 I made up the collar patten and then sewed on the trim and buttons. 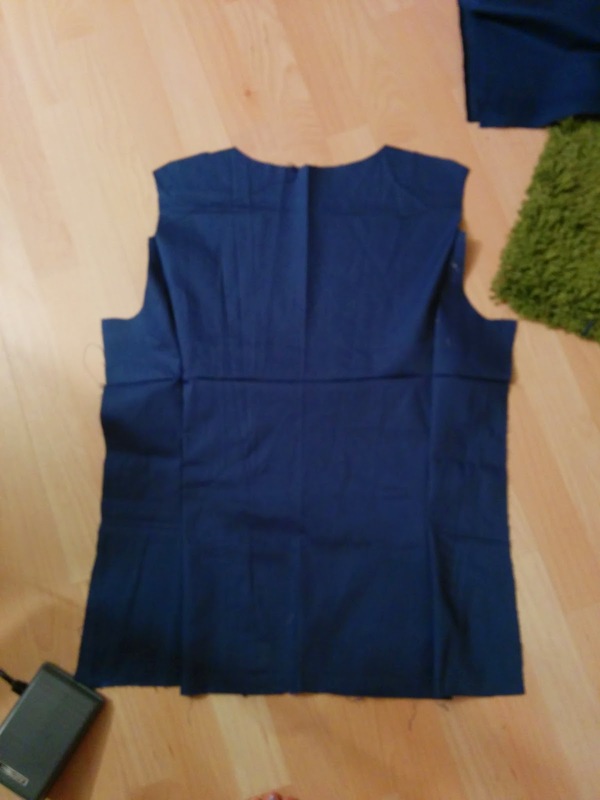 It was relatively easy to make once I understood the sewing pattern instructions although since this was my first time following one it did take me along time to understand all the sewing jargon! 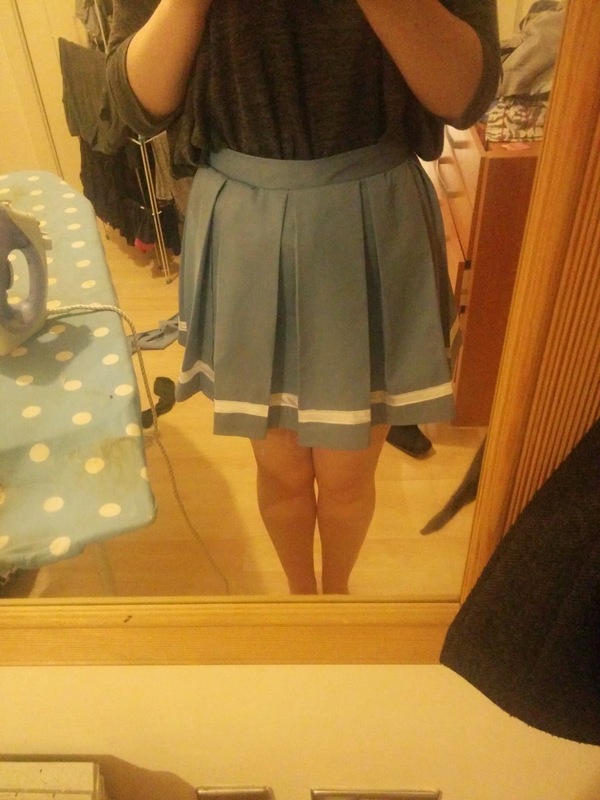 The skirt is pretty simple so for that I just followed a youtube video. 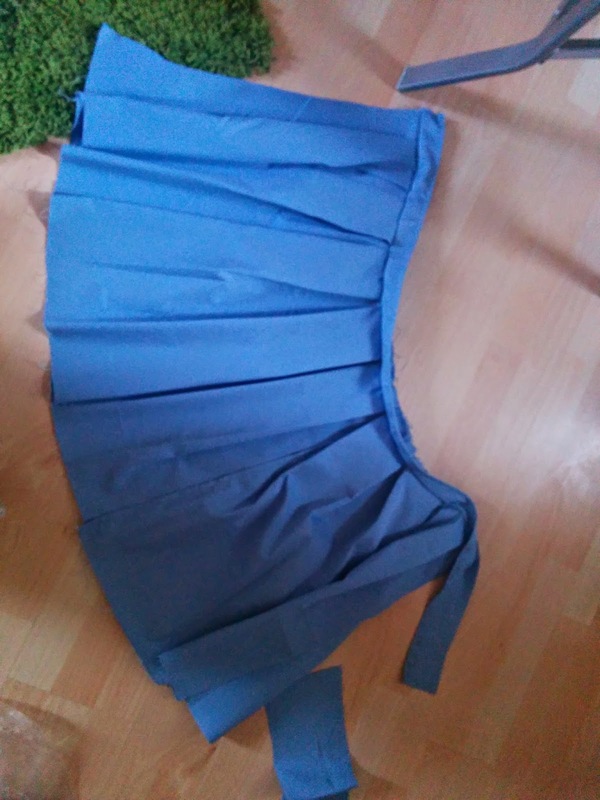 You can find loads of tutorials by searching 'pleated skirt'. 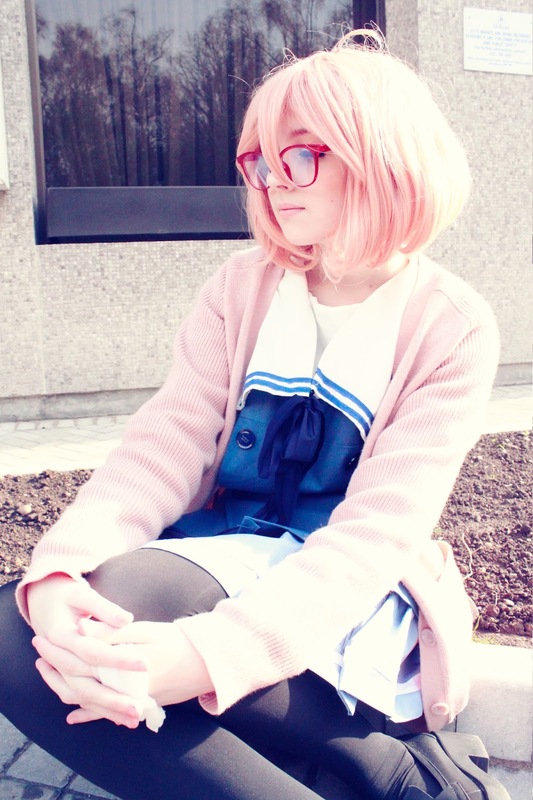 I purchased the cardigan because I don't know the first thing about knitting, maybe save learning that for another time! 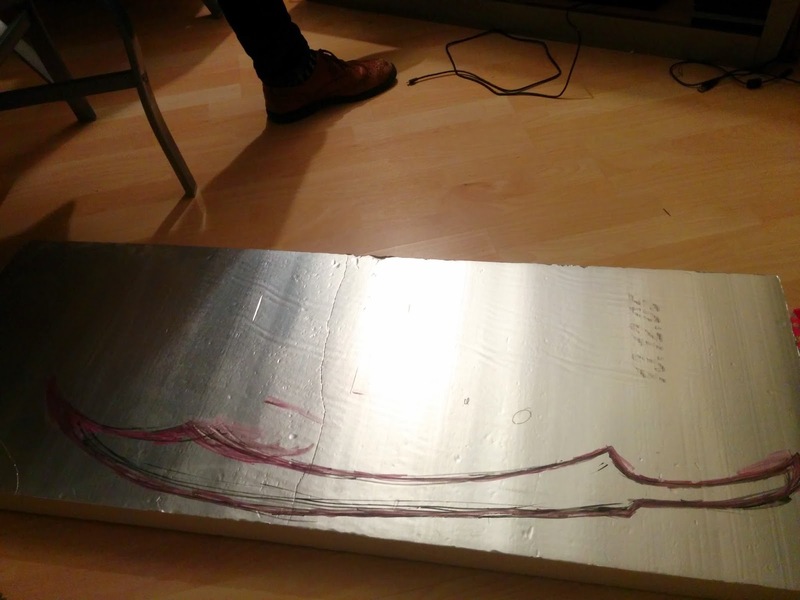 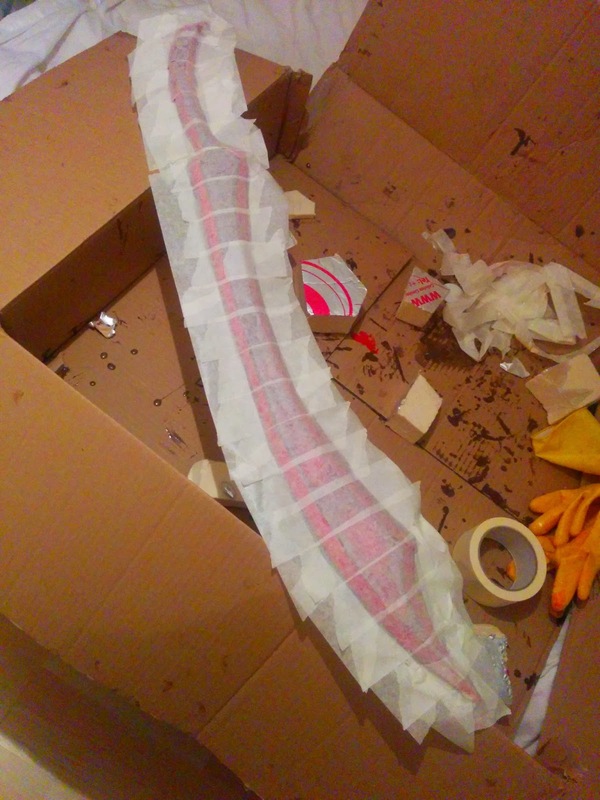 On to the sword which I made the sword from insulation foam with the intention to cover it in resin to make it hard. 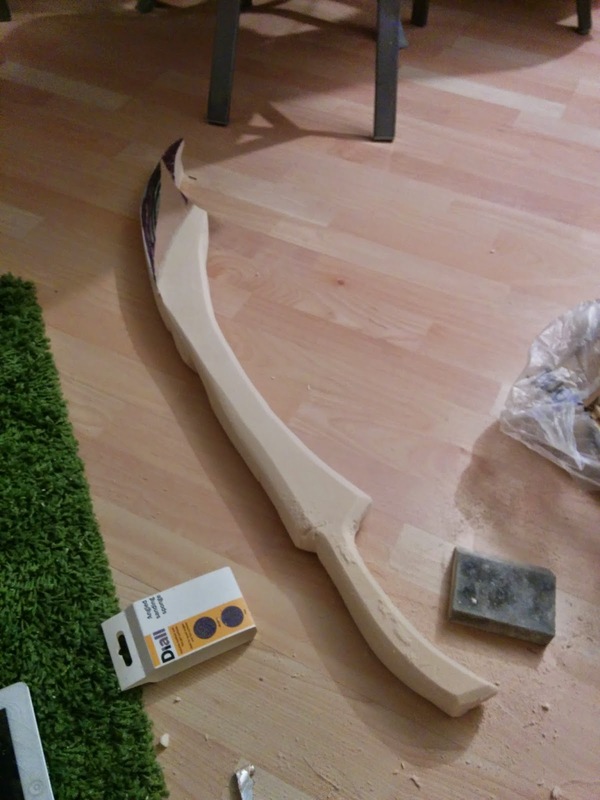 I spent many hours debating over resins and what type to use that wouldn't cause the foam to melt, even so after all this I still brought the wrong one...whoops. 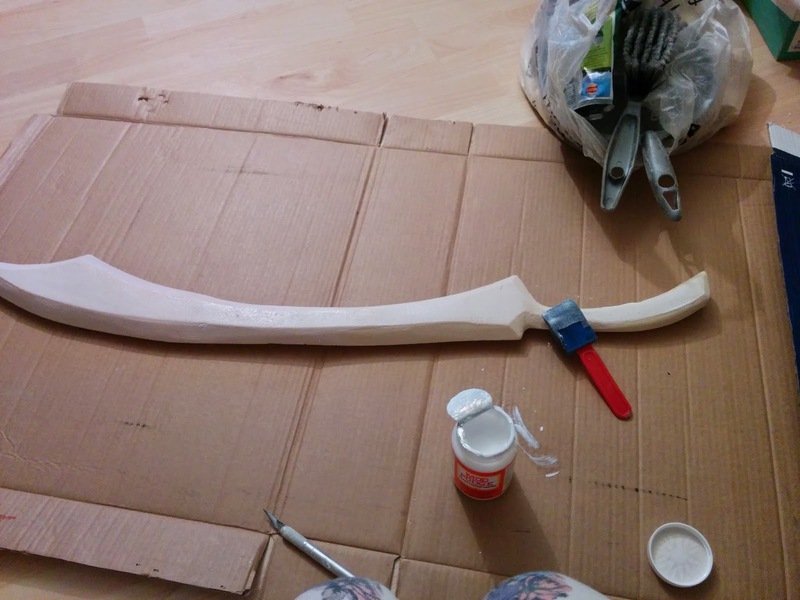 Because I carved and painted the sword first I needed a clear curing resin but the one I had brought cured ivory. 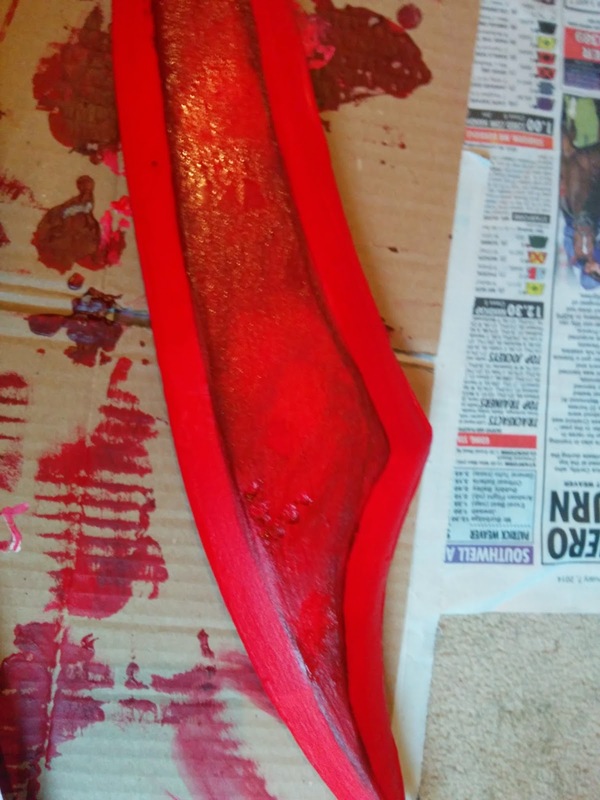 I carved the sword from one whole piece of foam, had the foam been stronger it probably could of survived however its pretty weak. 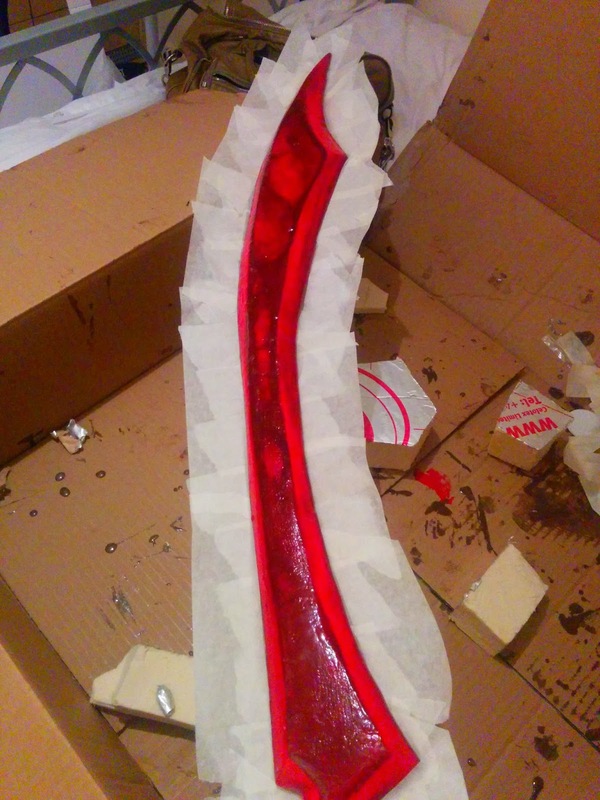 I added 2/3 coats of the resin by taping up the sides and doing one side at a time. 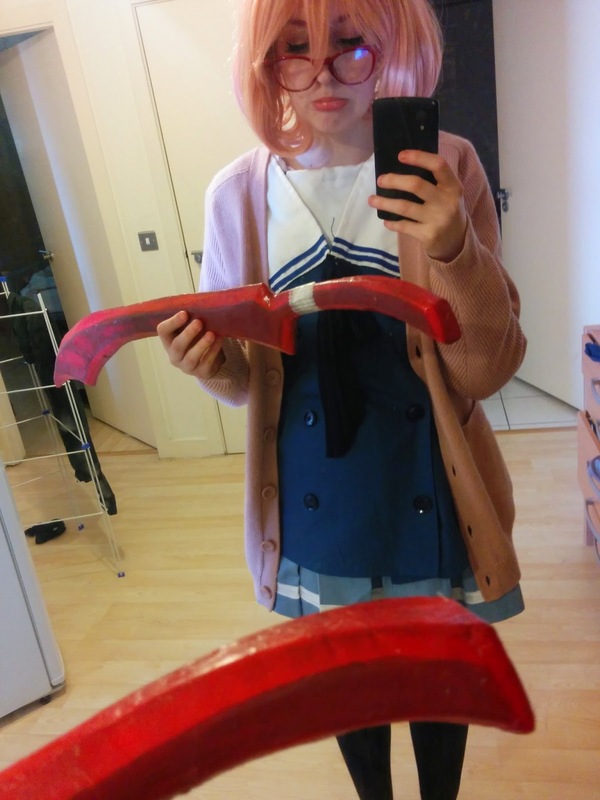 It was pretty sturdy but as the handle area is so thin, this is were the sword snapped. 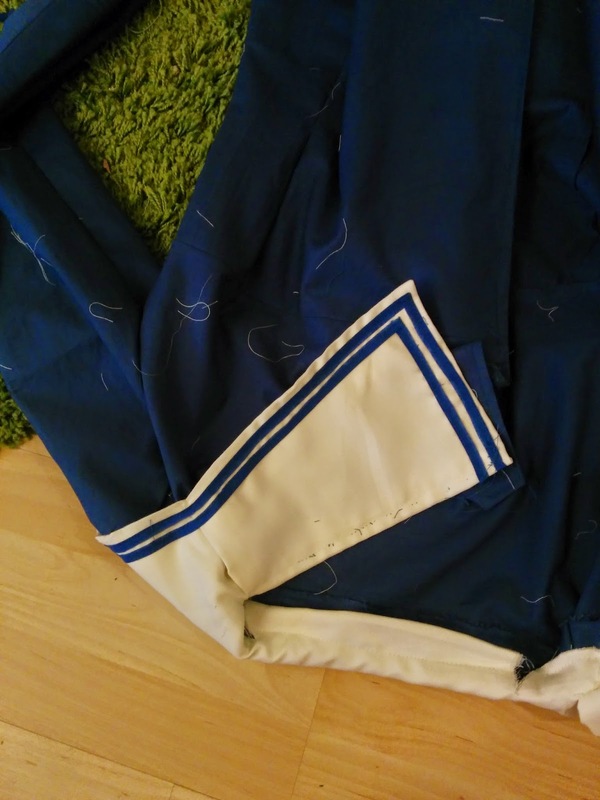 It lasted long enough to take a couple of photos which I'll upload on a separate post. 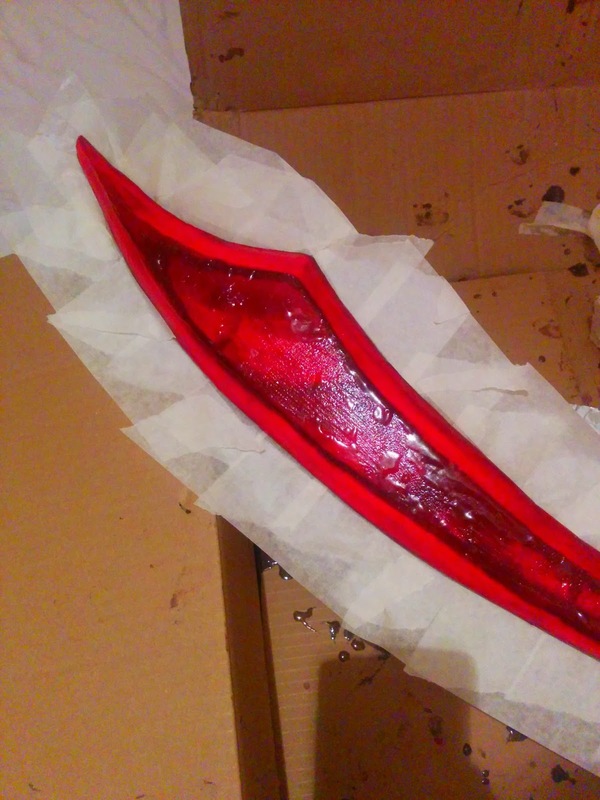 I'm not sure if I'll be making her sword again but next time I'd probably go with expanding foam and a heck of a lot more resin! 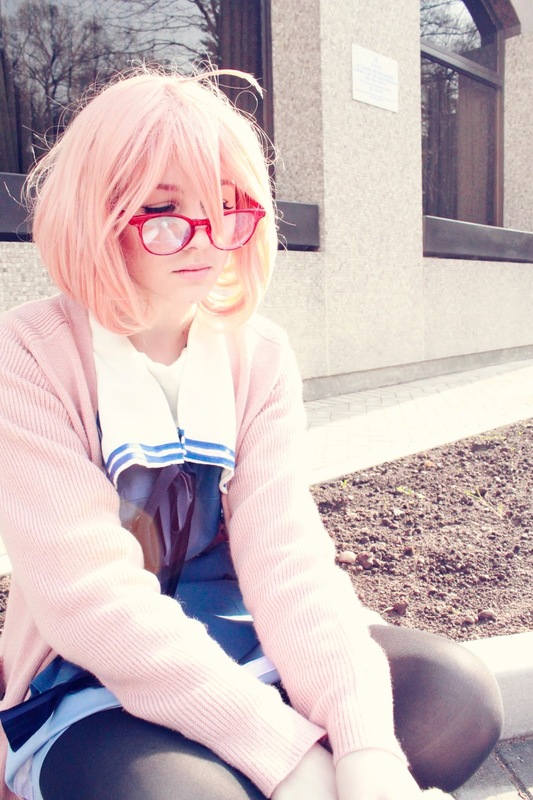 The shoes are some clunky looking old school 'school' shoes which are awesome, I think hers are kind of dark reddish lace up brogues but these are as close as I could get at short notice.